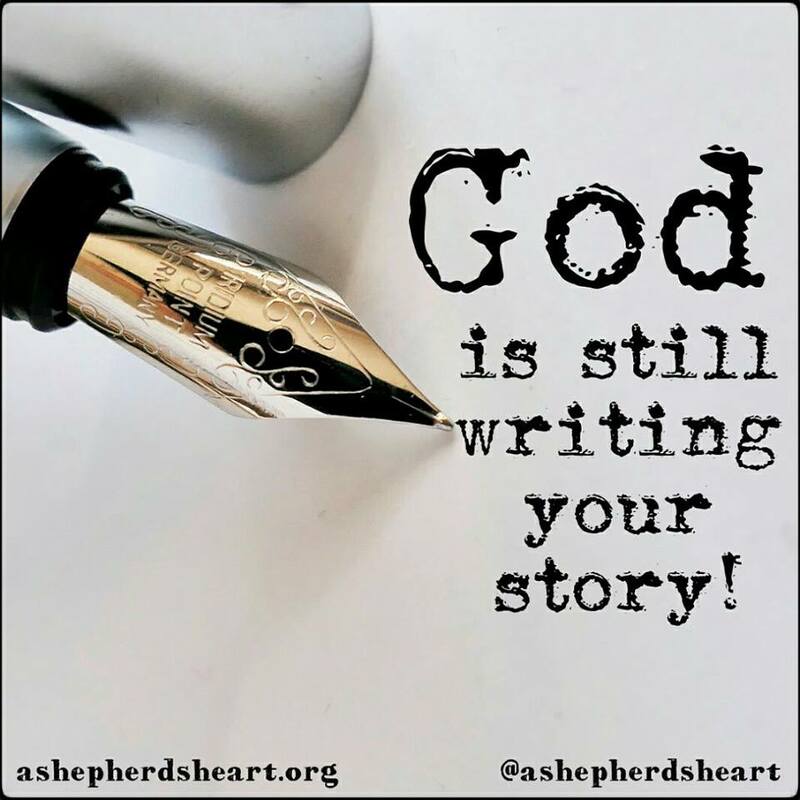 A Shepherd's Heart: God is still writing your story! 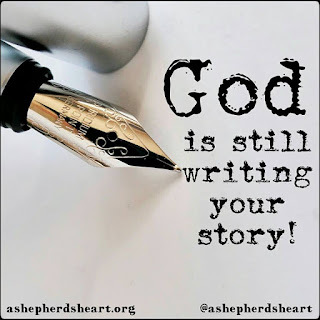 God is still writing your story! I'm reminded of many conversations and experiences I've had over the years with people. I've experienced, observed or heard a retelling of a series of events or a single event that took place that didn't go as planned and then feelings of "defeat", "failure", "life is over" and etc begin to crept in. In our weakness as human beings, its pretty normal to feel that way but if you are in Christ then you are a new creation and those feelings should not last as you turn from your feelings and what you see to faith instead. You need only to turn through the pages of scripture to see God's truth unfold before you and this should build your faith up! The fact is that your story isn't over yet no matter how you may feel at this moment! God already knows your story and He's still writing / unfolding your story and there is a reason things aren't working out how you planned. He has something else in store for you! The question remains...will you trust Him as the story unfolds? Trust God. Trust His wisdom, will, purpose and plan. Your story is now HIStory too (always has been) and it will all work out in the end as He's faithful and true and molding you day by day! P.S. Encourage someone today with the truth that God is trustworthy and that their story isn't over no matter how they may feel right now! God is still writing their story! Praise God He hasn't finished with me. Amen! Many blessings in Christ! The Fine Art of Allowing God To Be Your Defender.